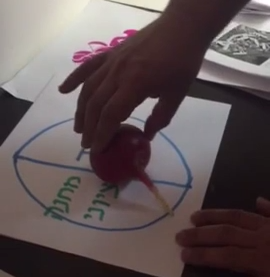 A radish has predicted the Israeli elections results. An obscure, but highly prized, “election radish” known for its predictive qualities has declared the outcome of the Israeli elections to be a win for Zionist Union. Radishes are often known for their health qualities and other positive, root-like, virtues. But they seldom have been used to predict election results. However experts claim that this radish is onto something. “We’ve been spinning it and it seems to know things we don’t,” explained the experts.